An interesting new supplementary service has just been launched by Motability. People who lease an adapted vehicle, including WAVs (wheelchair accessible vehicles), through the scheme can now lease a lightweight manual wheelchair at the same time. I hear relatively often from people who believe they have experienced ageism in healthcare. You may dismiss this as anecdotal, and it is true that not many people take the time to write to an editor to let them know about great treatment they have received! However, a new survey published in the Lancet Public Health journal suggests that a quarter of people aged over 50 have experienced ageism in the NHS, and this may be contributing to poorer health amongst older people. The valuable series of Care Act webinars conducted by Belinda Schwehr of CASCAIDr is well underway. The next topic will, I know, be of interest to many of you. Carers' Rights will be in the frame, with issues around informal care, Carer's Allowance and to what extent a person's familial support network can and should be expected to help the council in delivering care. 25th April is the date, and you can catch Belinda at 12 noon or 8 PM. I've got my ticket! How do you go about choosing an adjustable bed? 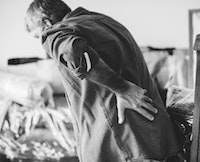 Clearly, somebody who is looking for the most comfortable night's sleep possible will have different requirements from another person who needs nursing care in bed, or is at risk of developing pressure damage. With thanks to expert supplier Alpine HC, we have a guide to choosing the right sort of adjustable bed, here. Sherborne Upholstery has been manufacturing high quality furniture in Britain for nearly 90 years. 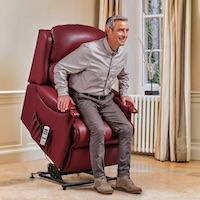 Their newly updated showcase page on Independent Living highlights their latest development – powered lumbar adjustment on their rise and recliners. 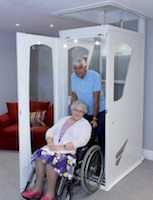 Operated by two additional buttons on the handset, this optional feature enables the user to increase or reduce the level of lower back support to reach the most comfortable position. 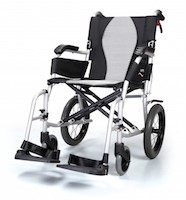 Our Spring Product Focus went out to subscribers last week, with a round-up of new product arrivals on Independent Living in the past three months. From pool lifts to wheelchair-friendly aprons and waterless washing, there were lots of interesting products to read about. If you haven't seen it, the online edition is here. And you can sign up to get a free copy in your inbox every three months, here. Of interest to people living with disabilities and long term conditions north of the border, the Scottish government pledge to extend free personal care to younger people has come into effect this month. Previously, it was only those aged 65 or over who benefited – more details here. Don't forget that you can apply to join the Independent Living Facebook group, if you would like to spend more time discussing these themes with other interested people. There are various ways you can get in touch with us: email me; visit our Facebook page and leave a message there; or if it's short and sweet, Tweet! If you are reading a copy of the Independent Living newsletter that has been passed on to you by a colleague or friend, why not sign up for your own free subscription – it's quick and easy, and won't lead to your inbox being bombarded with other stuff!